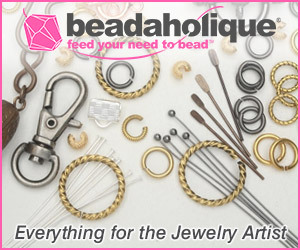 Not many of you know this, but when I first started along this never ending jewelry making path, I began with bead work. 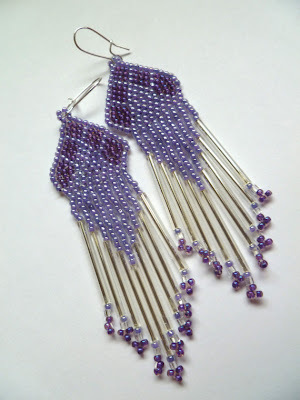 One of my favorite things to bead are earrings especially the Native American style ones with fringes. 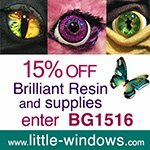 They are not only fun to make but offer huge design and color variations. 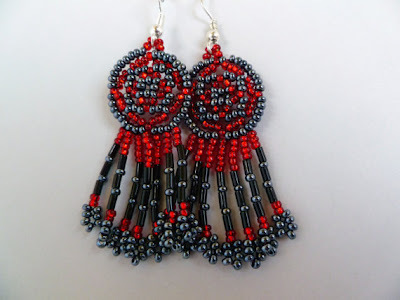 Californian Deci Worland, who reads this blog, also loves this style as she makes many, many Commanche style earrings. I really mean lots as you can see from her Etsy shop Gem Rio. You can easily see her passion not just from the large number of earrings but the fact that she hasn't repeated any of the designs. Shown here are some of my favorites. 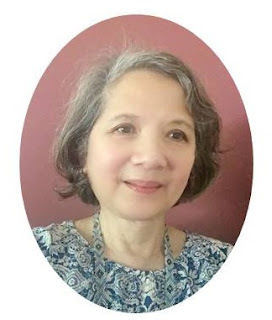 Deci has strong interests in the Fine Arts, starting as a painter in theater and set design. As she was also into costuming, she started making earrings because they were so portable and the craft helped her pass the time backstage. She certainly enjoys the relaxing part. She now lives in the country and switched to painting signs and designing logos. She is also a Renaissance actor, sells her jewelry and occasionally does piece work for the fashion industry. I asked Deci why Native American styles? She explained, "As a small child, I was influenced by my cousin in the Pacific Northwest. He was Native American and a talented artist and carver. He often babysat me and I tended to follow him around. Also, totem poles were all over the place, and their spirit was in me. I'm from the English side of the family, but many first cousins, aunts and uncles were Native People and I am sure they inspired me." Her productivity is impressive. Perhaps she would give us some tips? 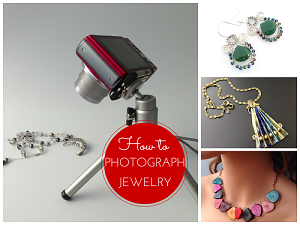 Deci says, " My advice - learn the basics of working with jump rings and wire. Work those pliers! Learn some basic bead weaving, peyote and brick stitch. And just go with it." I am also positive that Deci uses up every spare moment she has very well. Makes sense as she says she is one of those people who always has to be making something. Deci has kindly offered one free pair of earrings from her store for one lucky winner. Any style, not just the Commanche style ones. She is also offering a 20% discount exclusive to the readers of this blog. Just use the code GT101. So check out her store! Not so good with beading but want a gorgeous pair made by Deci? Then please make a comment below. Extra entries if you become or are a blog subscriber or followeretc . If you also do shout outs about this giveaway, those will count as additional entries too! Please say so in the comments. 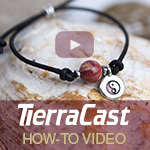 It ends in a week's time at 6 pm EST Monday, June 25, 2012. I will pick a winner randomly and announce the results as soon as possible after. So be sure to leave a contact email if you don't have an online link or make sure you come back and check! Otherwise I will redraw in a week. Good luck! Very pretty earrings, I would love to give it a try!! These look fabulous and cant believe the shop has 109 such beauties...fabulous. Lovely earrings ! I'd love to try my luck !! I forgot to say that I am a follower .. These are SO fantastic! 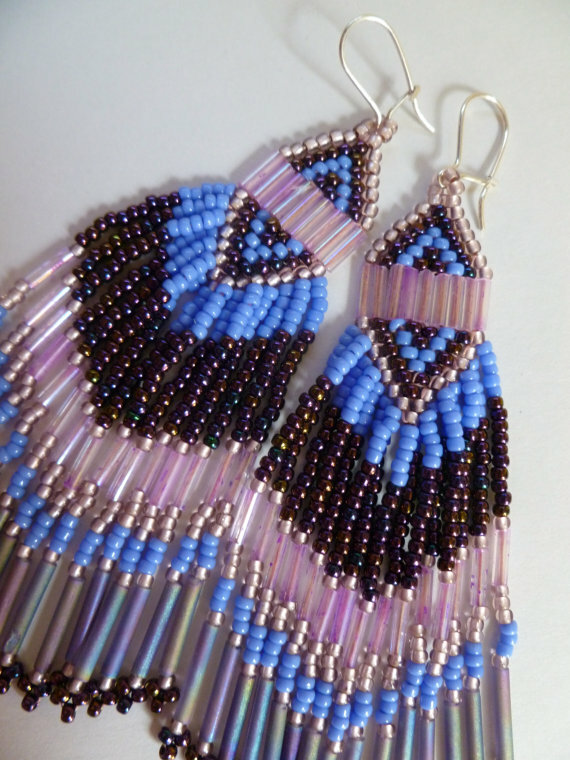 I have yet to try bead weaving, but these are inspirational. These designs are great. I would be proud to wear a pair or give them as a gift to my Friend Battling Cancer to cheer her up! She does gorgeous work. I'd love a pair of her earrings. Awesome is these earrings! I think the extra is a bit of love for beading put into each. Awesome is what these earrings are. 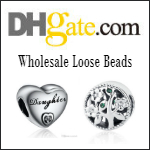 You can feeling the bead love that goes into them. Great job! 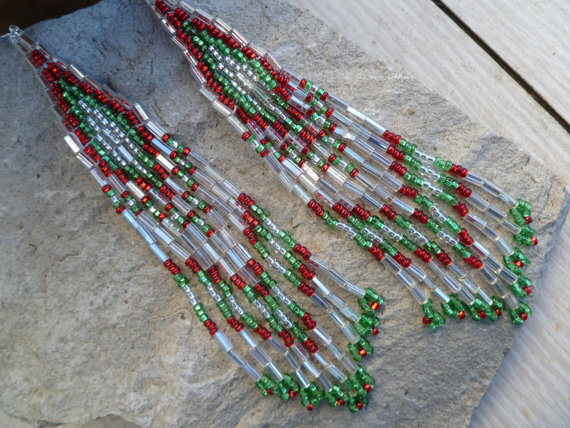 These earrings are really pretty - I'd love to enter please! I am crazy about all of them, but I am really crazy for the A Gleam of Teal earrings! 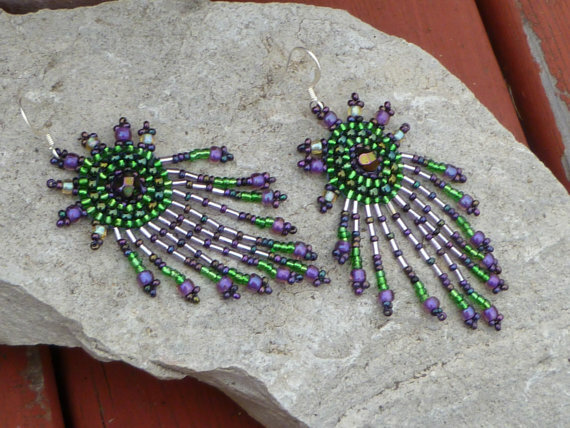 I would love to win a pair of her earrings! They are gorgeous!!! The Silver Music-Wire Wrapped Earrings are fun and so pretty. Would love to have a pair of Deci's earrings! Beautiful earrngs, she really has an eye for color and style. Thanks for hosting the giveaway. 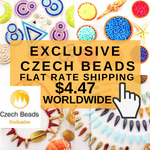 I love handcrafted jewelery because they are more unique. The ones above by Deci are beautiful. I would love to win a pair. These are very gorgeous!! Thanks for the chance! Absolutely beautiful, I really love the purple and green one at the top. Thanks for the giveaway. The earrings are so nice. I subscribed By RSS on google reader. These earrings are beautiful. Would love to win a pair. Thanks! Those are really pretty with lots of detail! I'd love the chance to win! Breathtaking....I am speechless right now...ahhhhhhhhhh......Very nice!